I was incredulous and grieved when I was sadly notified of the sudden and absolutely unexpected passing of Goran Grgurić. 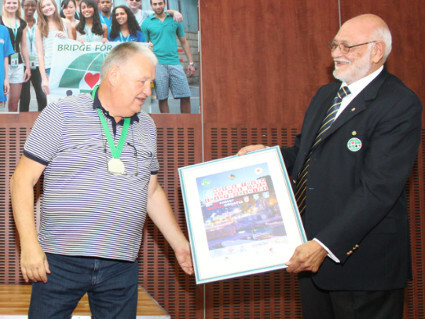 Goran was a great personality, who honored his Country and his Town, his beloved Opatija, where in the last six years he was able to organize and host several successful World and European Championships, delivering the image of the wonderful Opatija everywhere in the world. 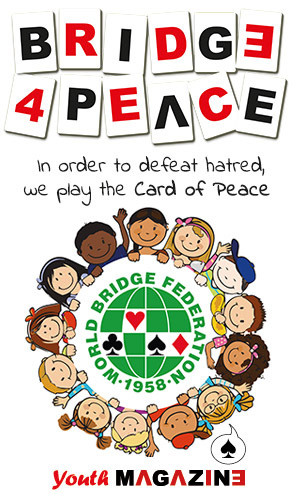 Goran enjoyed general esteem, greatly contributed to the development of bridge discipline and by his example underlined the value of bridge and above all its culture, fair-play, tolerance without any discrimination. Together with his wife Branka he was the true soul of the Croatian Bridge. We worked together for many years, during both my EBL and WBF Presidency and we were still working about new projects for the near future. For me Goran was a dedicated and loyal collaborator, a root of excellent advice, ideas and suggestions, but above all he was a great friend, always available, always beaming. His memory will accompany me for the life. I want to express to Branka and their daughters Zelica and Zrinka on behalf of the entire bridge family and personally our most sincere condolences and our closeness to their deep sorrow.